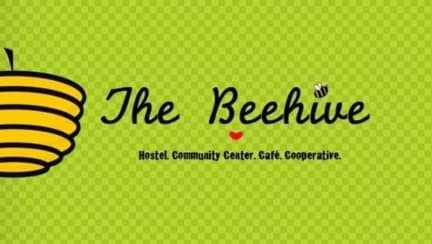 The Beehive Sucre, Sucre, Boliwia : Rezerwuj teraz! Group bookings must be paid 2 weeks prior to arrival and any special accommodations required must be made in advance to payment. Any reduction in the number of beds, no-shows, or cancellations after the 2 weeks will not be eligible for a refund. A refundable security deposit of $100 is required for groups of more than 6 people. The security deposit will be returned during check-out and upon inspection of the property. 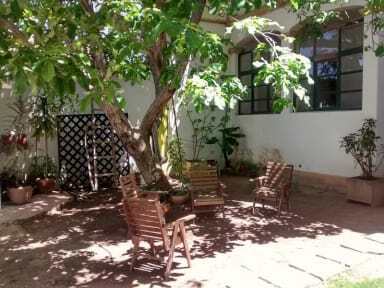 HOSTEL: clean and cozy dorms; matrimonial suite for couples/small families; guest kitchen and 2 common lounges; 24-hour hot water; free boiled water; wifi; lockers; DVDs; book exchange; exchange/donation basket; laundry service; towel rental; Sunday house dinners; garden patio; space for on-site private Spanish lessons; long-term volunteer placement with discount on accommodations; free night of accommodation in exchange for teaching a community workshop; wholesome and delicious breakfast included! COMMUNITY CENTER: language exchanges; movie nights; practical and fun workshops and community activities (taught by locals and hostel guests); local and distinctive art for display and sale (coming soon). Examples of activities: meditation; pilates; cardio-kickboxing; Wally aka Bolivian volleyball (Sundays); neighborhood network of partner organizations and businesses (coming soon)! CAFE: wholesome and tasty comfort food and treats, including Bolivian desserts made by local women! Doors open at 8am. If checking in earlier, please email us to let us know ahead of time. Quiet hours and doors closing: 12am Sun-Thurs (weekdays) and 3am Fri-Sat (weekends).